Are you worried about outliving your savings? Are thoughts of a retirement without basic necessities like healthcare coverage causing you stress? Americans are living longer than ever, so it’s not surprising that we’re most afraid of becoming broke during our later years. But, despite these very real fears, many of us still aren’t taking steps to address them. Believe it or not, some of us spend more time planning a week-long vacation than planning for our retirement. In fact, the IALC survey found that 1 in 4 Baby Boomers—the age group closest to retirement— have less than $5,000 saved for their “golden years.” Further, 1 in 5 Americans don’t have a clue how much they’ve saved. The good news is, regardless of your age, you can still take action to reduce these fears and prepare for your golden years. There are simple steps you can take to mitigate risk and ensure a more comfortable retirement. For example, you can review your portfolio and adjust it as necessary to make sure it’s balanced, with a combination of both conservative and riskier products. You can also look into retirement products such as Fixed Indexed Annuities (FIAs) that offer a stream of guaranteed lifetime income to help ease your fear of outliving your savings. 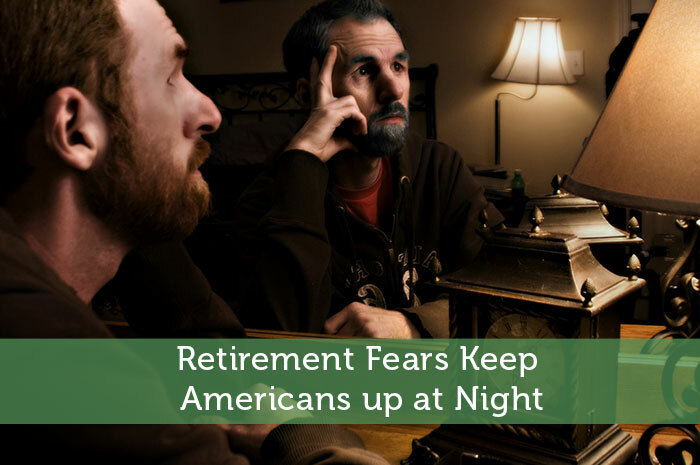 So, if you’re losing sleep over your retirement savings—or a lack of savings—it’s not too late. The road to a good night’s sleep starts today.